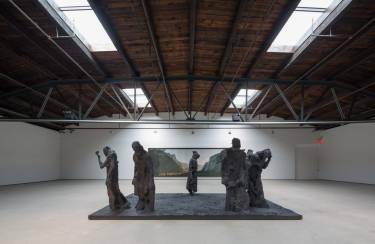 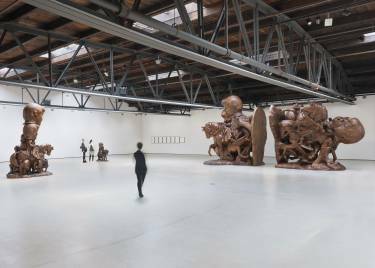 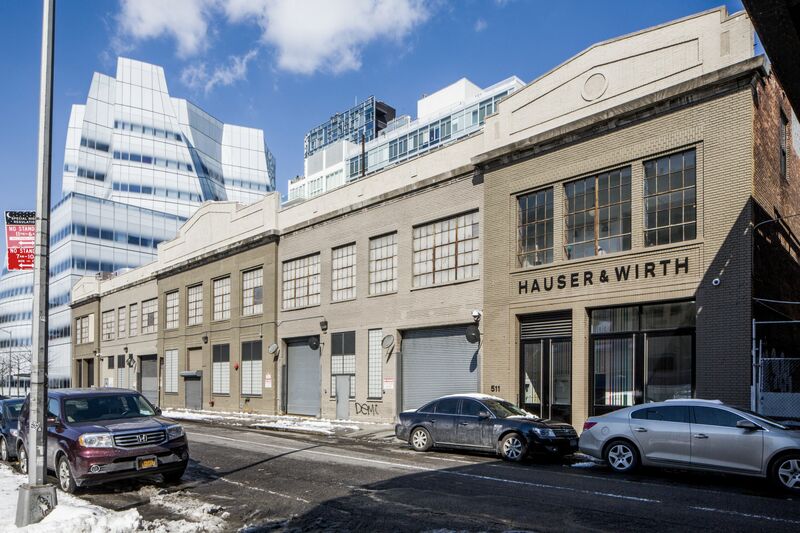 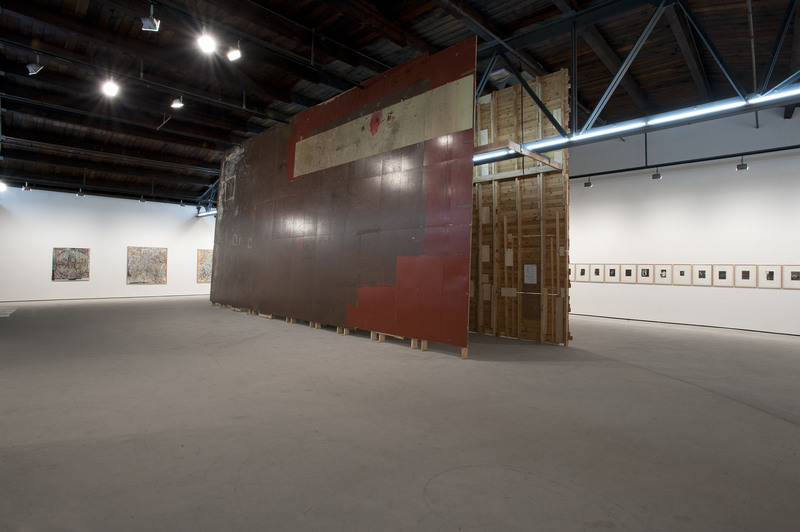 The Roxy, a former roller rink and night club was transformed into Hauser & Wirth’s second gallery in New York City—a vast column-free space dedicated to the display of large scale contemporary art. The gallery has a unique circulation sequence that draws visitors up a long, sweeping stairway before revealing the main exhibition space: a single 10,000 sf gallery. Inside the space, the existing wood ceilings were restored, large steel trusses refinished, and skylights were uncovered and enlarged. 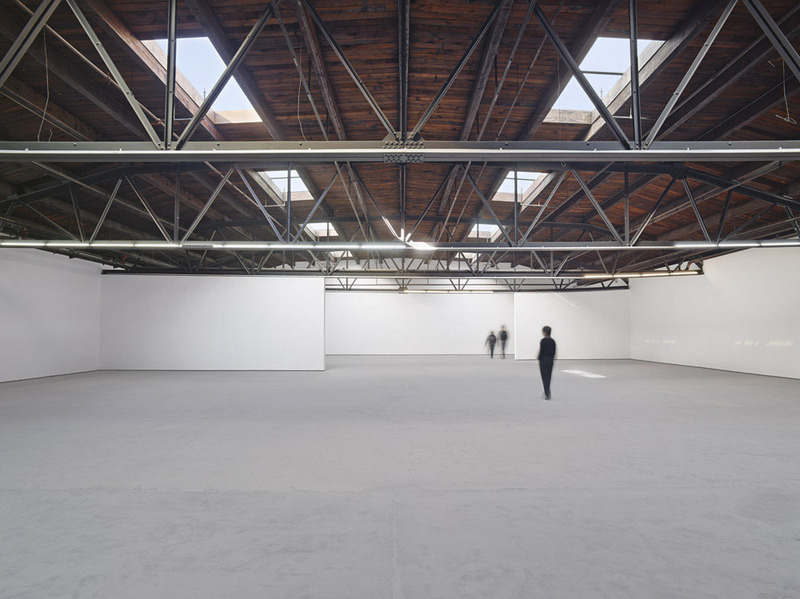 Three smaller galleries complement the main exhibition space and private showrooms, a library and offices provide additional program space. 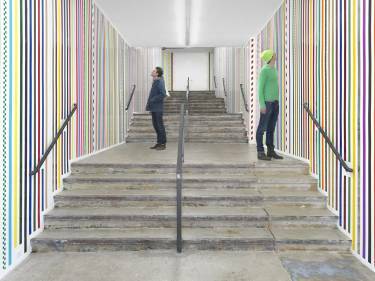 Several artists contributed to the project including Björn Roth, who designed the gallery’s Roth Bar as a tribute to his father Dieter Roth, and Martin Creed, who created a custom installation for the entrance stair hall.